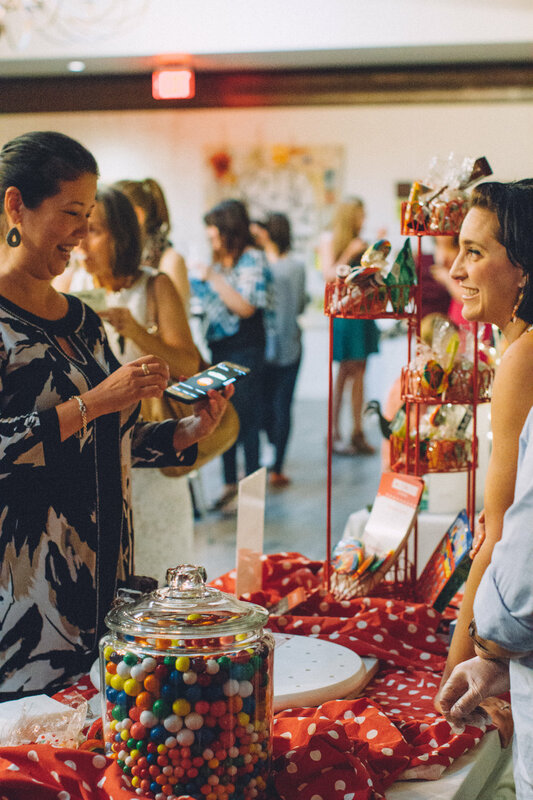 On Tuesday, September 6th, Local First Arizona held their second annual Summer Dessert Social, and once again it was a sold-out event. 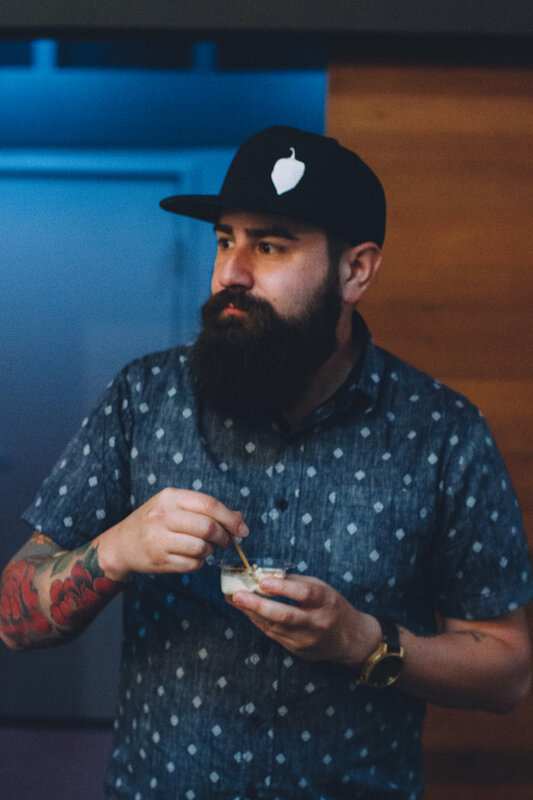 With an aim to support Arizona's independent businesses and educate and build the local community, Local First joined with members of the Devour Phoenix Restaurant Coalition to treat attendees to indulgent signature desserts made by seven of the best chefs in the Valley. Tickets were only $20 per person, $10 for Localist members. The Newton, a mixed-use facility space, was the perfect venue with plenty of room for guests to mingle and sample. It opened onto the adjacent First Draft Bar in the Changing Hands Bookstore for those who wished to sip on beer, wine, mead, and cider (I enjoyed a coffee mead from Arizona's Superstition Meadery). Chef Justin Beckett of Beckett's Table and Southern Rail made an apple cobbler with gingersnap crumble spiked with bourbon and bacon, a crowd favorite. I'm a fan of sweet and savory, and Chef Bernie Kantak of Citizen Public House and The Gladly whipped up a five-spice pudding adorned with a delicious and creative combination of pecans, crispy chicken skin, and honey. Chef Stephen Jones of The larder + the delta at DeSoto Central Market served warm huckleberry cinnamon rolls whimsically garnished with Fruity Pebbles and Pop Rock glaze. I was told his addictive cinnamon rolls are sometimes available on his weekend brunch menu and I'll be seeking them out. Pastry Chef Tammie Coe of Tammie Coe Cakes and MJ Bread & Bakery has won many "Best of" awards and rightly so. I loved the "Lombardi, almost cannoli" with pistachio cake, chocolate and pistachio crumbles, chocolate cream, and sweetened ricotta studded with chocolate chips. Chef Doug Robson of Otro Cafe handed out a wonderful creamy coconut flan nestled in a flaky tart shell and decorated with a flurry of Belgian chocolate shavings. 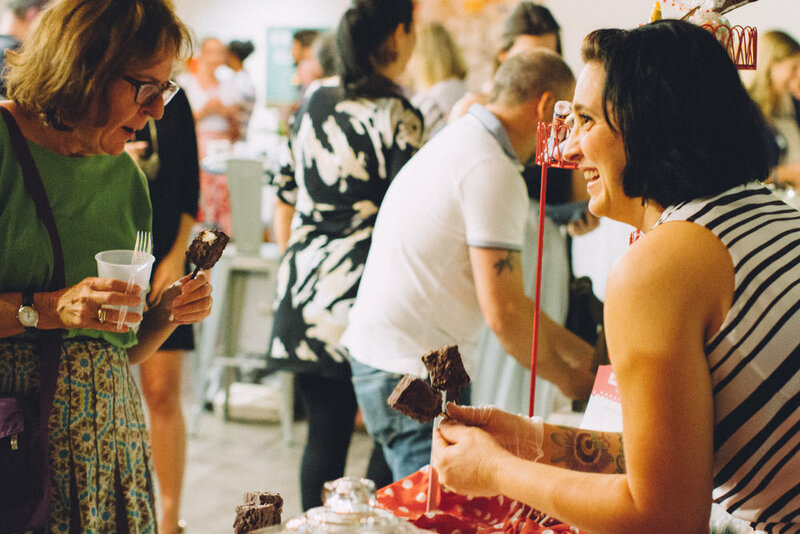 How to make an ice cream bar even more decadent? Combine brownies, chocolate chunk cookies and vanilla ice cream and enrobe it in a crunchy chocolate shell as Pastry Chef Jada Shiya of Churn did with her frozen dessert. Pastry Chef Sarah Chisholm of St. Francis and the Phoenix Public Market Cafe created Chocolate Tea Tarts, her take on s'mores. Attendees were spoiled by a silky chocolate ganache with Earl Grey tea filling in a graham cracker crust crowned with toasted honey meringue. Jenny Strickland, Localist Program Coordinator, and Natalie Morris, Director of Food Initiatives, thanked the generous members of the Devour Phoenix Restaurant Coalition for their desserts, and the guests for supporting Local First Arizona. They also talked about the Localist program. 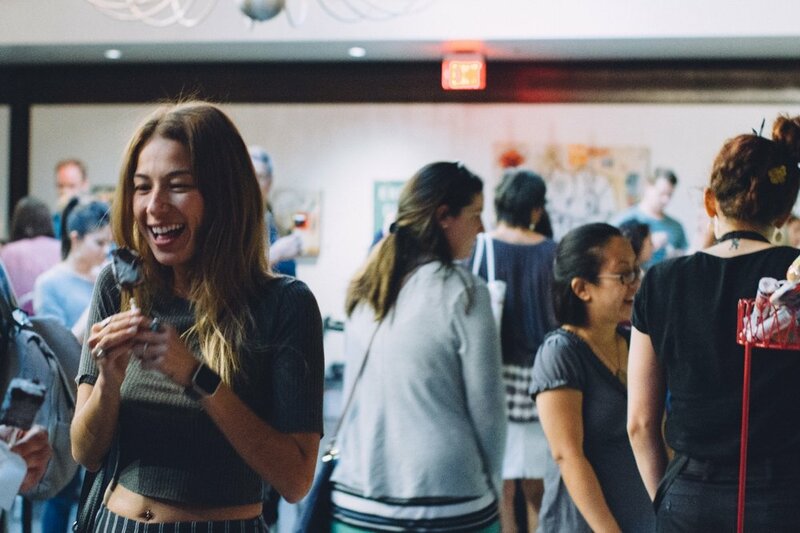 For a $20 annual fee, Localists receive special offers and discounts to events like the Dessert Social, along with free invitations to distillery tours, movies, concerts, and other local business celebrations. As a Localist, I'm helping to support Local First Arizona, a group whose goal is to "Make Arizona a better place by supporting locally owned businesses and building vibrant communities that residents are proud to call home," and I hope you will too! For more information, visit http://www.localfirstaz.com/localist/.